Casino Rama creates the perfect entertainment experience, blending hot casino action, big-name concerts and sporting events, luxury spa, along with a variety of delicious dining options. As one of the province’s premier entertainment destinations, the Casino features over 2,500 of the latest slot machines and more than 100 gaming tables including a 12-table Poker Room. 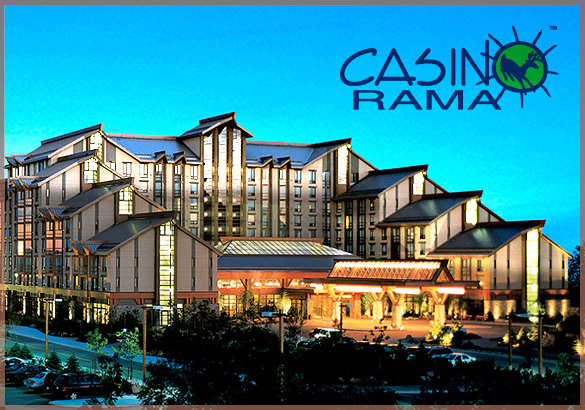 Casino Rama is just 5 minutes away from Rama Lakefront Homes in Orillia. in their 5,000 seat state of the art Entertainment Centre. Weekly, year-round big name concerts are performed by KISS, Russell Peters, Sheryl Crow, Weezer, Tears For Fears, Toby Keith, Carrie Underwood & Olivia Newton-John to name only a few! Like all Ontario gaming facilities, the operations at Casino Rama Resort are conducted and managed under the auspices of OLG (Ontario Lottery and Gaming). Know your limit and play within it. If you miss out on the catch of the day, try some of these great restaurants near Rama Lakefront Homes in Orillia. Era 67 offers a casual lounge and dining room experience. They host entertainment in the Fall, Winter and Spring in their lounge area on Saturday nights and jazz on Sunday afternoons. Relax in their lounge and enjoy the acoustics from a multitude of local artists while sipping on some of the finest Martinis, fresh muddled cocktails or warm up with one of their speciality coffees. Theo’s Eatery is a family owned and operated restaurant. Established in 1993 it is a popular choice of Orillians and tourists alike. 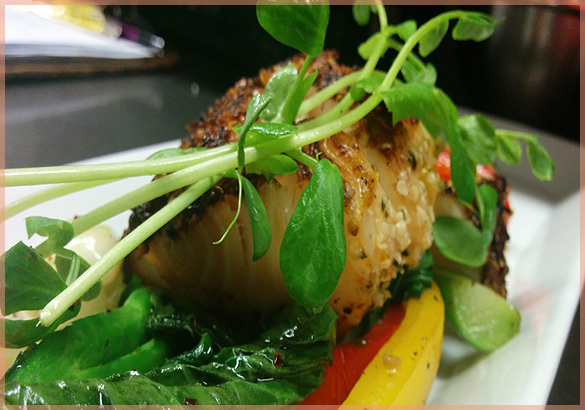 Theo’s offers a relaxed dining experience specializing in delicious, housemade Canadian, Greek and Italian food. Their famous pizza is housemade from start to finish. Mariposa Market invites you to slow down and take a step back in time. Come see, touch and taste the charm of years gone by in our grand turn of the century building. Take a stroll through 5 historic shops that include Orillia’s most celebrated bakeshop, a quaint café, a fudge & candy shop, a home decorating store, and a shop for handmade soaps & candles. Apple Annie's is most famous for its large assortment of gourmet coffees and teas. Their fresh fudge is in high demand just like our Rama Lakefront Homes in Orillia. Their store is packed with a selection of fine products from gourmet sauces, jams, and chutneys to kitchen utensils and soaps. Orillia boasts several community parks. 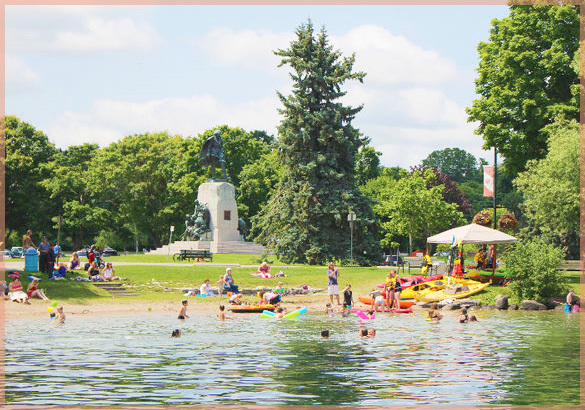 These are larger outdoor community gathering places where residents and visitors can enjoy celebrating Orillia's natural beauty. Couchiching Beach Park includes the town dock and sandy beach areas that attract many to Lake Couchiching each summer. This 14.5-acre park is home to many special events and features the historic Champlain Monument. The Rotary Train, run by the Rotary Club of Orillia, is stationed at Couchiching Beach Park and brings joy to many visitors during the summer months. It starts running around the end of June until the beginning of September on Fridays, Saturdays and Sundays. J.B. Tudhope Memorial Park on Lake Couchiching is an active park for baseball, slo-pitch and attracts water lovers to its popular Moose Beach swimming area. Home to the Mariposa Folk Festival, this 65-acre park is a haven for residents and visitors alike with many amenities. Accessible playground, swimming beach, beach volleyball courts, two lit baseball diamonds, flower gardens, picnic tables, splash pad, trail, washrooms and fountains. Tudhope Park is just 5 minutes from Rama Lakefront Homes in Orillia. Boating, water sports and fishing aren't the only popular activities. Orillia also boasts some beautiful golf courses just minutes from Rama Lakefront Homes. 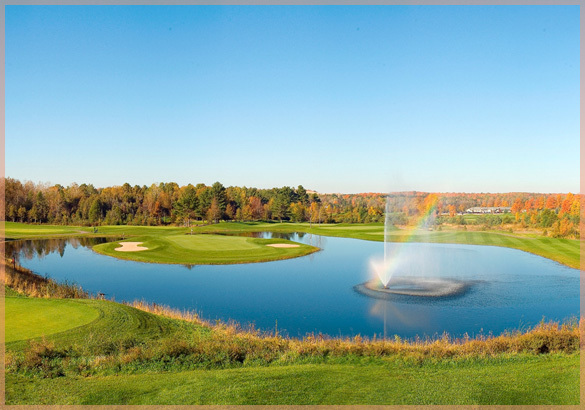 Hawk Ridge is situated on over 390 acres of abundant ponds, mature forests, bentgrass fairways and a lifestyle community that is second to none. Hawk Ridge offers seasonal membership, public players, tournaments and boasts a magnificent clubhouse with seating for up to 300 that will make any event unforgettable. Settlers’ Ghost Golf Club has breathtaking views stretching across Georgian Bay. Take a golf lesson from award-winning golf instructors, savour a scrumptious meal in their dining room or enjoy a cold beverage on their patio. Whatever your plan come catch the spirit at Settlers’ Ghost.